So far, only 270 of 4,180 suspected cases have been confirmed as microcephaly, with the brain damage associated with the defect ruled out in 462 cases. Researchers are still studying 3,448 of the cases, which have been recorded since Oct. 22. 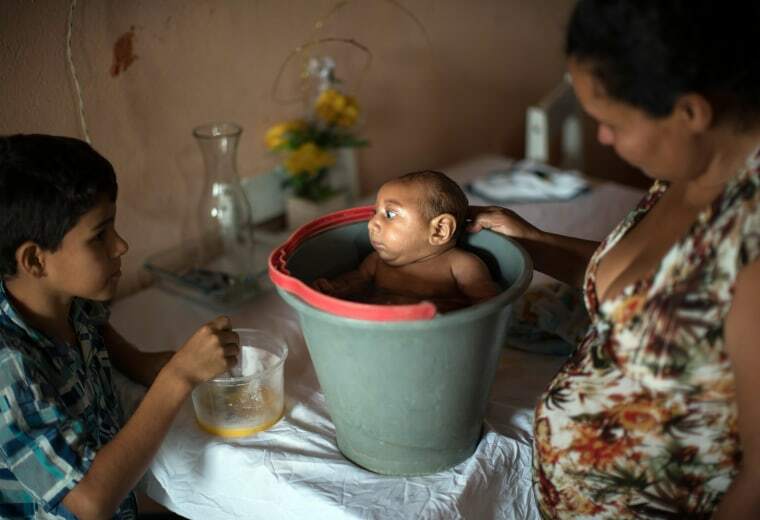 Brazilian officials still say they believe there's a sharp increase in cases of microcephaly and strongly suspect the Zika virus, which appeared in the country last year, is to blame. The concern is strong enough that the U.S. Centers for Disease Control and Prevention has warned pregnant women to reconsider visits to areas where Zika is present. The rare birth defect, which also can be caused by factors such as infections, malnutrition or drugs, means babies have unusually small heads, 32 centimeters (12.6 inches) or less in circumference, and it can cause lasting developmental problems. The cases reported to the Health Ministry include delivered infants, stillborn and miscarried babies, and fetuses shown to have unusually small heads by ultrasound or other diagnostic tests, the ministry said. It then tests to see if neurological imaging shows the brain has been affected. Officials said babies found to be microcephalic and their mothers are given additional tests to see if they had the Zika virus -- often a difficult process. Six of the 270 confirmed microcephaly cases were found to have the virus. Two were stillborn and four were live births, three of whom later died, the ministry said. Brazilian health officials estimate they had 150 cases of microcephaly in all of 2014. The Health Ministry said Brazilian states were not required to report microcephaly cases before November. That could mean the 2014 list didn't fully account for all cases, though the ministry dismissed the idea there might have been a large number of unreported cases. The U.S. CDC says about the rate of microcephaly in the U.S. is about 2 to 12 per 10,000 live births -- a figure far higher than Brazil's estimates for earlier years. Castro said the government also would distribute mosquito repellent to some 400,000 pregnant women who receive cash-transfer benefits. The arrival of Zika in Brazil last year initially caused little alarm as the virus' symptoms are generally much milder than those of dengue. Then late last year, Brazilian researchers reported they suspected Zika was linked to the dramatic increase in reported cases of microcephaly. The World Health Organization has stressed that a link remains circumstantial and is not yet proven scientifically. The CDC is advising pregnant women to reconsider travel to Brazil and 21 other countries and territories with Zika outbreaks. Officials in El Salvador, Colombia and Brazil have suggested women stop getting pregnant until the crisis has passed.